A while ago, I had couple of customers who had requested this task. 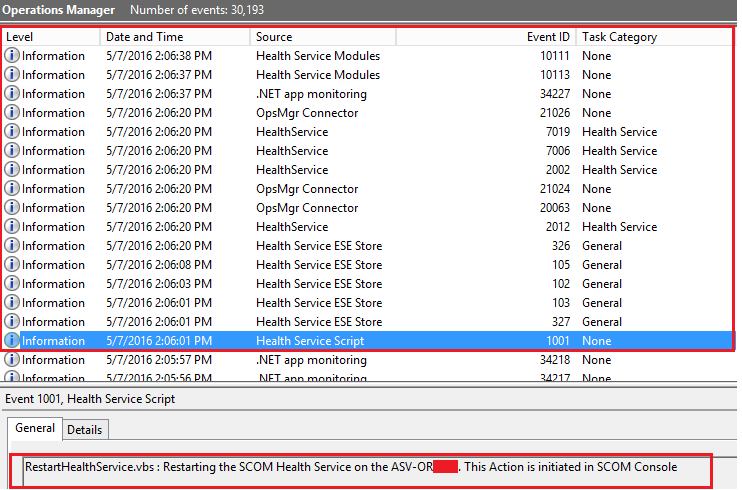 At times the SCOM health service would get stuck or stop collecting performance for the servers. In this case, the monitoring or the NOC team would login to the servers and restart the health service. However, the problem was that the NOC or the Helpdesk team would not have access to these server and logging in to the servers was the issue. Therefore, they requested a task that can be done remotely, that has proper right. 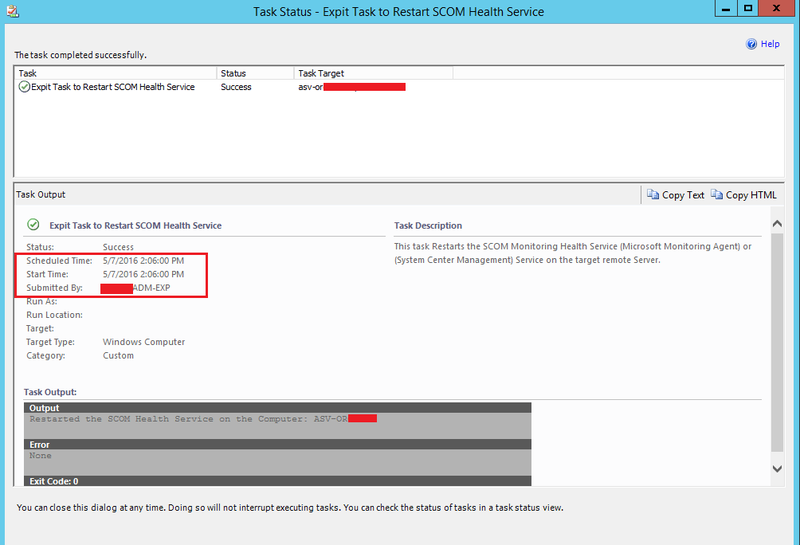 Since SCOM Action is a local admin or all the target servers, I decided to create a task that can restart the SCOM health Service remotely using the default SCOM Action Account. This would easy the task of the NOC or helpdesk team without having them to login to the servers remotely to start the SCOM Service. 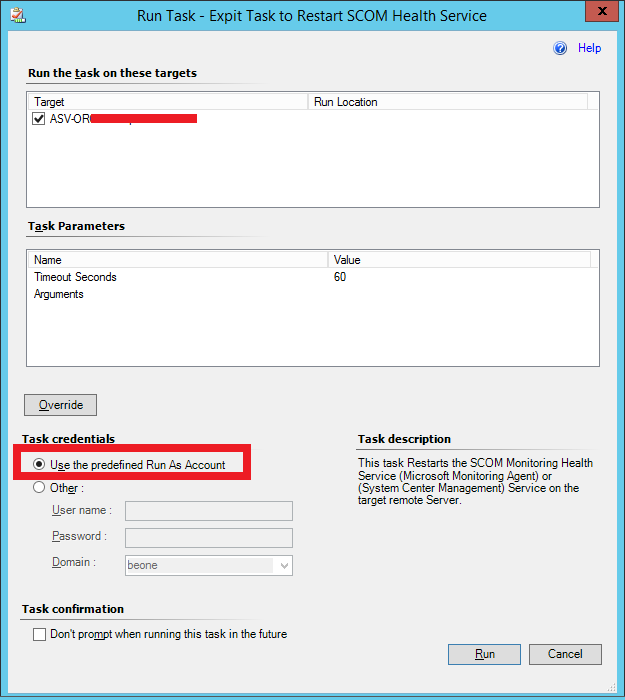 The Expit Task to Restart SCOM Service can be downloaded below. The file contains two Management Packs. Once the Management Pack is imported, it should be visible in the Administration–>Management Pack. Once the task is complete, you will see the success message. Now, we go and verify if the Service is started on the Remote Computer. We do this by checking the event log. The Management Pack also contains, a task view that shows the status of each task executed, so you can verify if all your tasks executed successfully or not. Please note that the task also runs successfully, on computers that are Workgroup or in DMZ. 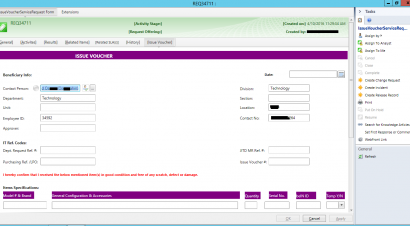 Make sure you select the option “Use the predefined Run As Account” before executing the task.